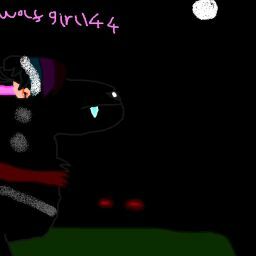 werewolfgirl144 (me) roecheal (my bff) other werewolves (my bffs lil bro and her cousin) my friends (my school friends and my new bff) my 4 dogs (lexi my dog) my 10 cats (lola my cat). me: the werewolves blew up half of our town,roecheal. roecheal:ok. so what do we do now? me:we must fight them back! roecheal:why? they will turn me into a werewolf! me:don&apos;t worry. i have 4 dogs and 10 cats. these werewolves are scared of them. so we sat off to get my 4 dogs and 10 cats. i opened up the door then found them sleeping. they got up as i looked at them. so they followed me.we found some werewolves trying to take the town down.i bit one in the neck. then i kicked all of them in the neck. they could not breathe. 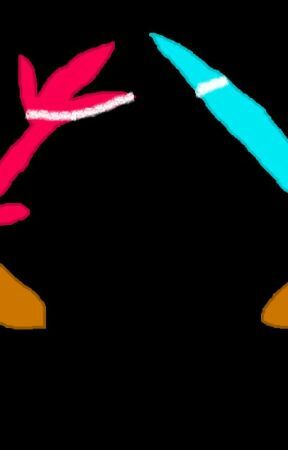 then they soon died. i got back to the house. there was a sign there saying "i will come and kill you all....later. by:the werewolf boss." i looked at the others in confusion. they shrugged.i looked back.i went to the door. i opened the door up.i went in,went to sleep. then later when the others and i woke up and went outside. i saw the werewolf boss.it was a lot bigger than other werewolves.i went up to it.i flew up then smashed my bunch of punchs and kicks into the neck.he could not breathe. then he soon died. me:lets go back. i&apos;m feeling tired. i can&apos;t stand-sleep for so long.cause i WILLLLLLLL fall. so we went home. never ever ever ever ever ever ever to see those werewolves,the werewolf boss or us ever ever ever ever ever ever ever ever ever ever ever ever again.